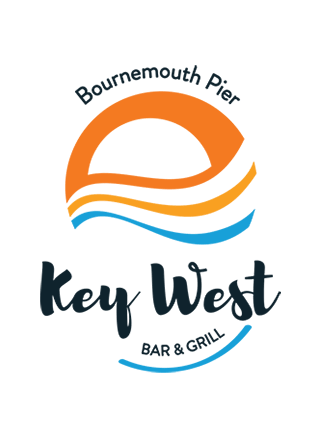 £50 credit per person to spend on food & drink from the Key West menu and a non-refundable £25 cover charge per person. A glass of Prosecco on arrival, plus olives and breads for table. Bench tables located outside of the Key West Restaurant Terrace directly under the main flight path of the Air Festival. Choose a table alongside the Key West restaurant, on the decking area or on the East side of the pier looking towards Bournemouth Beach and Boscombe Pier. Reserve a table for £100 per day for Saturday. Non-refundable. A maximum of 6 and a minimum of 4 guests per table. This does not include VIP table service or food and drink credit. Includes one bottle of Prosecco per table on arrival. Any booking under 4 persons will be required to share a table with another party. We advise you not to leave your reserved table at any point for more than an hour at any point. If you wish to vacate your table and return at a later time, please notify your host immediately. We will try our best to keep your table reserved for you during your time of absence, however we cannot guarantee this. At the end of your visit, we will return your credit card and give you one invoice for any extra purchases made above your credit limit. We are happy to accept multiple payments; however, we cannot split the invoice for you. Confirmation must be forwarded to each member in the group or family. This will need to be presented at the Pier entrance to avoid pier toll on your day of arrival. We will require all party names for the pier toll entrance guest list. (Operated by Bournemouth Borough Council). Full payment for every member of the group must be received at time of booking. Please dress appropriately for the weather conditions, i.e. hats and sun-cream if it is hot and umbrellas and coats if it is raining. In the event of bad weather, we cannot guarantee we will be able to move you to a table inside of the restaurant. Food and drink to be purchased and consumed from Key West restaurant or the Key West kiosk only. Strictly no picnics. Booked tables are only reserved for the bench tables outside the Key West restaurant. We advise you not to leave your reserved table at any point for more than an hour at any point. 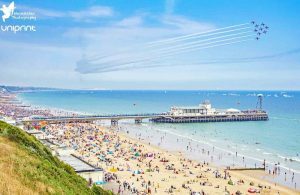 If, for an unfortunate reason, the Bournemouth Air Festival were to cancel, the £100 charge for the table is non-refundable. Confirmation must be forwarded to each member in the group or family. This will need to be presented at the pier entrance to avoid pier toll on your day of arrival. Please send us the name of every person on the table in advance of the air festival. We will require all party names for the pier toll entrance guest list. (Operated by Bournemouth Borough Council). Full payment must be received at time of booking. Not suitable for disabled access.